For avid runners—and even the average runner—having a great shoe can make all the difference. You might not realize that fact until you have the right shoe, but it truly is essential in the running world. Imagine having a shoe that is too big or too small for you. Wouldn’t that impact your pace, gait, comfort, and everything else? Yes! That’s why having a shoe that fits your foot is of the utmost concern. This is especially true for people with wider feet. Shoes that squeeze your feet together can have many negative consequences, including pain, blisters, poor posture, bunions and more. In order to avoid this, choose a shoe that has a wider toe box that allows for plenty of room for your toes. 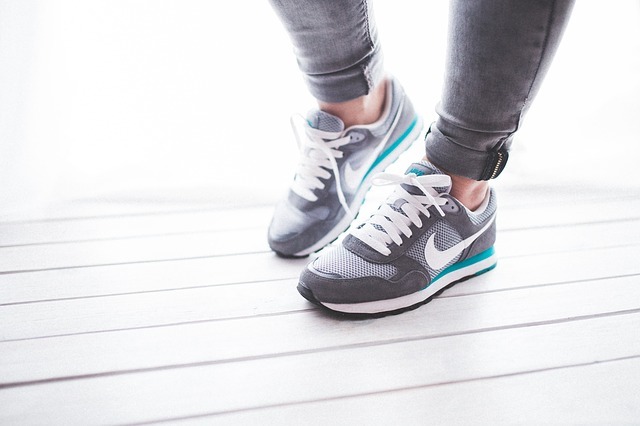 Instead of shoes labeled as “wide” that are wider from the toe box all the way through to the heel, shoes with wide toe boxes accommodate those people with only a large forefoot. With every new model of shoe comes technological advances that not only promotes your foot health but also improves your running game. These 8 shoes are some of the best on the market when it comes to the top running shoes with wide toe boxes. 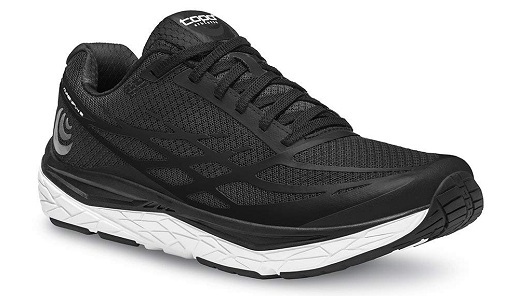 The Brooks Men’s Ghost 10 are some of the best running shoes on the market for people with wide feet. These shoes don’t force you to compromise on style because they’re available in a wide variety of colors and designs to meet your preferences. In addition to featuring a wide toe box, these running shoes also have a breathable upper that keeps your feet dry and comfortable. Plus, the Brooks Men’s Ghost 10 comes with a rubber sole that not only provides great traction but also offers cushioning. The shoe has a BioMoGo DNA midsole with special flex grooves for added flexibility, which is essential for runners. The Brooks Men’s Ghost 10 is also extremely lightweight so you won’t need to worry about your legs getting fatigued so easily. They also come with generous arch support so those with higher arches won’t need to worry about experiencing pain. For a great pair of running shoes for wide feet, the Brooks Men’s Ghost 10 should certainly be on your list of running shoes to consider. You might not know this, but ASICS is a company that was created with the goal to design shoes that help out the youth. The company has expanded and also offers shoes for women and men, and now offers the high quality ASICS Men’s 33 FA Running Shoe. This running shoe not only boasts a sleep and innovative design, but it also helps to prevent problems with your feet. What’s so great about the ASICS Men’s 33 FA Running Shoe is that they are built specifically for runners. The wide and roomy toe box is one feature that people with wider feet will enjoy, but the benefits don’t stop there. The ASICS Men’s 33 FA Running Shoe features a flexible outsole that allows your foot to move naturally as you bang out your running workout on any terrain. It’s also rubber to provide great traction for you. Plus, overtime, the ASICS Men’s 33 FA Running Shoe actually forms to the natural shape of your foot. 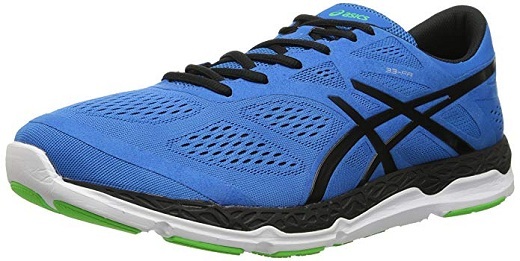 If you want one of the best running shoes with a wide tox box for people with wide feet, the ASICS Men’s 33 FA Running Shoe is one to consider. 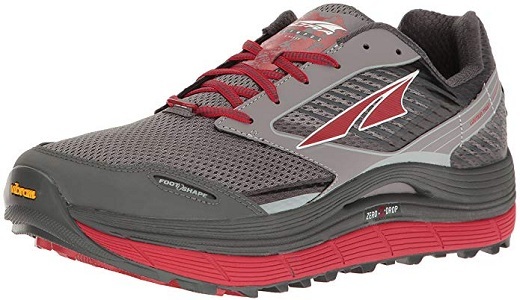 For someone that wants to get a great pair of running shoes for wider feet, you should definitely consider the Altra Men’s Superior 3.5 Sneaker for a multitude of reasons. The first of which is that these shoes have a cool, albeit plain, design that comes in a variety of color options. Building on the Superior 3.0 model that came before it, these shoes take it a step further. The Altra Men’s Superior 3.5 Sneaker is much more lightweight, which means reduced stress and fatigue while you are running. Plus, it features a foot shaped toe box that’s a more natural fit than some of the narrower options out there. In addition, these shoes come with a Trailclaw outsole, which gives you more traction and stability no matter what terrain you’re on. Plus the StoneGuard rock protection keeps rocks and other debris from entering your shoe, allowing you to focus on the road—or trail—ahead of you. If you want a top pair of running shoes for wide feet with a wide toe box, the Altra Men’s Superior 3.5 Sneaker delivers. Another top brand in the running shoe department is New Balance. 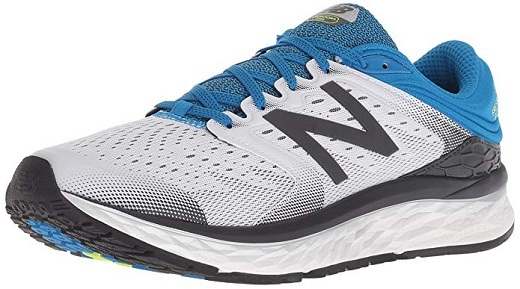 The company is known for creating products that are industry leaders and their New Balance Men’s 1080v8 Fresh Foam Running Shoe easily makes our list of best running shoes for wide feet due to their wider toe box. These shoes are great for those that suffer foot issues, especially those with wider feet because they come in wide and extra wide sizes. Plus, the engineered mesh is designed to provide breathability. They also come with an OrthoLite lining that is great for wicking away moisture. This keeps your feet dry and comfortable even on the hottest of days. The blown rubber outsole also features flex grooves for added flexibility and superior traction. They also feature a plethora of cushioning that offers both comfort and shock absorption. If you are in need of a great pair of running shoes with a wide toe box, take a look at the New Balance Men’s 1080v8 Fresh Foam Running Shoe. If you are looking for a great trail running shoe with a wider toe box, the Altra Men’s Olympus 2.5 Athletic Shoe could be just what you’re looking for. Not only do they have the wide toe box you need to run comfortably, but these shoes also have everything you need for light duty off-road conditions and road running. The Altra Men’s Olympus 2.5 Athletic Shoe features a Vibram mega grip outsole that is durable and provides great traction. It’s also a more wideset traction, which improves your grip on running surfaces. The shoes also have an EVA midsole that cushions your fit while providing the optimal amount of bounce back to reduce fatigue. The Altra Men’s Olympus 2.5 Athletic Shoe also comes with a Trail Mesh upper, which means it’s durable and provides the support you need for even the roughest terrain. The Topo Athletic Magnifly 2 Running Shoes are another solid option if you want a running shoe with a wide toe box. Topo Athletic is newer to the running shoe game, but their shoes keep getting better and better with each new release. The Topo Athletic Magnifly 2 Running Shoes have a dual density EVA midsole that makes it more responsive to your foot while also providing the necessary support and cushioning. They’re firm enough to give you a stable base, but still offer cushion and some bounce back. Plus, the Topo Athletic Magnifly 2 Running Shoes come with a great rubber outsole that can grip slick surfaces and even hold up well on trail runs. The upper is also supportive but provides a bit of movement so there’s no friction or pinching while you run. Simply put, if you are looking for a great pair of running shoes that have a wide toe box, the Topo Athletic Magnifly 2 Running Shoes are definitely worth considering. 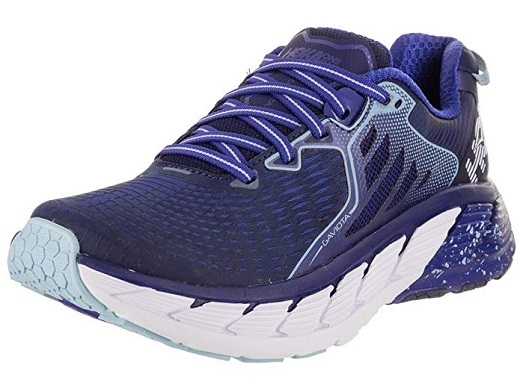 Another great option for a top running shoe for people with wide feet is the HOKA ONE ONE Women’s Gaviota Running Shoes. These shoes are certainly a good option if you’re looking to stand out in the crowd due to their very unique design. Hoka always makes good shoes and when they release a new one, it’s something runners fawn over. The HOKA ONE ONE Women’s Gaviota Running Shoes with a wide toe box certainly does not disappoint. In addition to featuring a wide toe box, the HOKA ONE ONE Women’s Gaviota Running Shoes also come with a variety of advanced technology. The arch-lock wings offer mid-foot support, while the molded Ortholite sock liner provides added cushion and comfort. Plus, the RMAT J-Frame gives enhanced rebound and durability while the moderate heel bevel enables smooth heel transitions. Pus, you’ll also get a durable rubber outsole the offers great traction and the durability you need to last for miles. If you need a top pair of wide toe box running shoes, look no further than the HOKA ONE ONE Women’s Gaviota Running Shoes. 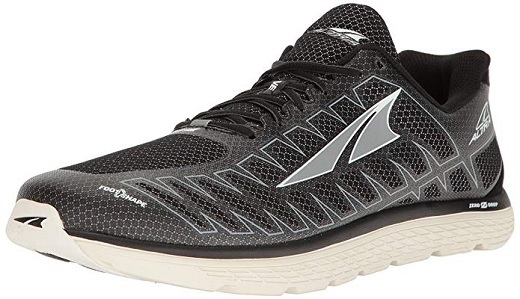 Last but not least, the Altra Men’s One V3 Running Shoes are another great option for someone wanting the best pair of running shoes for wide feet. These shoes are often thought to be a bit minimal, but they offer everything you need when it comes to running. Not only do these shoes boast a foot shaped wider toe box, but they also offer numerous other benefits to runners. In fact, they’re specifically designed to help you reach higher speeds without trading off on comfort and support. The Altra Men’s One V3 Running Shoes have a dual layer EVA midsole. This provides more cushioning than previous models—and others on the market—which lets you stay focused on your pace and not your foot discomfort. In addition, the inner flex technology is able to conform to your foot and mirror even the smallest of movements. 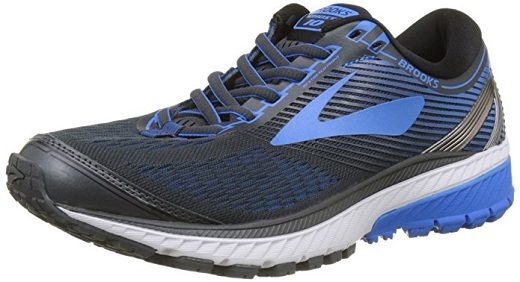 That, combined with the responsive cushioning that reduces the stress on your joints due to high impact, make the Altra Men’s One V3 Running Shoes one of the best running shoes for wide toe boxes on the market.